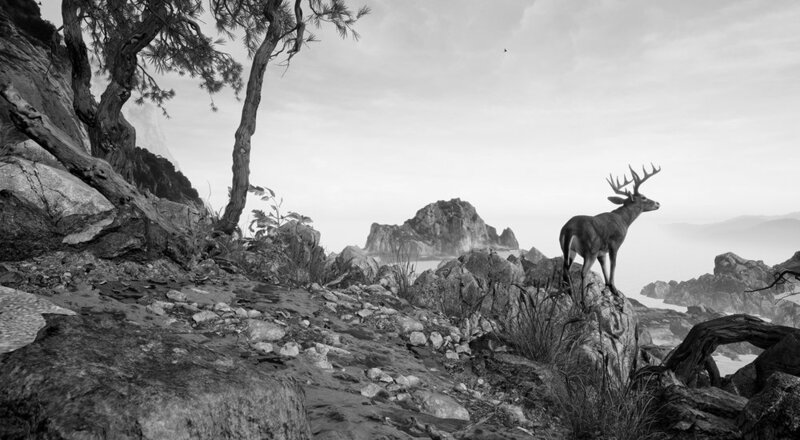 Experience a strong and contemplative Virtual Experience inspired by the golden age of Chinese Landscape. Walk-in the Golden Era: 3D Immersion Chinese Landscape Painting. Eternal Landscape (2017) is Yang Yongliang’s very first work based in Virtue Reality. It is an immersive Chinese landscape that allows the audience to walk in wearing VR goggles, or to view in an immersive, multi-channel video projection. In respect of the golden age of Chinese landscapes, Yang portrayed an authentic Song Yuan mountain landscape, with no buildings and industrialized elements involved. The project is produced with collaborative inputs between Yang Yongliang Studio in Shanghai and Monochrome in Paris. Exhibition from November 4th to December 23rd 2017 in Paris. September 20 & 21 2107 in Los Angeles. Yang Yongliang (born in 1980, Shanghai, China) grew up in Shanghai. He was trained as a pupil to traditional Chinese painting and calligraphy since early childhood, later graduated from China Academy of Art in Shanghai in 2003. Yang Yongliang exploits a connection between traditional art and the contemporary, implementing ancient oriental aesthetics and literati beliefs with modern language and digital techniques. Yang Yongliang’s work has been exhibited internationally at museums and biennials, such as Thessaloniki Biennale in Greece (2009), Ullens Center for Contemporary Art in Beijing (2012), National Gallery of Victoria in Melbourne (2012), Moscow Biennale (2013), Metropolitan Museum of Art New York (2013), Daegu Photo Biennale in Korea (2014), Singapore ArtScience Museum (2014), Modern Art Museum Paris (2015), Kunst und Kultur in Neuried e.V (2015), Fukuoka Asian Art Museum (2015), Somerest House London (2016, 2013), Art Gallery of New South Wales in Sydney (2016, 2011); collected by more than 20 public institutes including the British Museum, Brooklyn Museum, How Art Museum in Shanghai, the Metropolitan Museum of Art in New York, Museum of Fine Arts Boston, San Francisco Asian Art Museum and etc.